Enough of monuments! 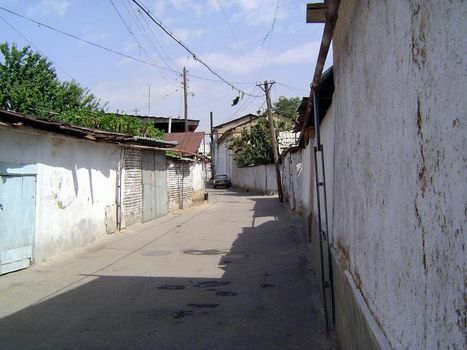 A nearby street. Wonder about that elevated pipe on the right?